New UC National Center for Free Speech and Civic Engagement to Be Established in D.C.
University of California President Janet Napolitano announced the opening of a National Center for Free Speech and Civic Engagement headquartered in Washington D.C., according to a University of California Office of the President statement released on Oct. 26. The center will be funded by the president’s endowment and private philanthropic giving. Napolitano noted in the press release that, at the moment, free speech is a particularly pertinent issue. “Few issues today are more timely, or more challenging, than free speech on our nation’s college campuses,” Napolitano said. 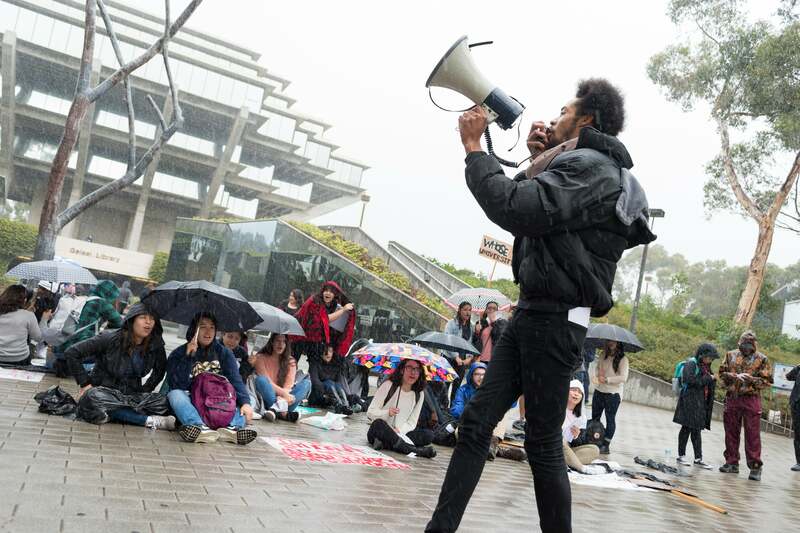 Over the past year, free speech debates have permeated public discourse from the political sphere to university spaces, including the UC campuses. One such instance occurred last February when protests and violence erupted at UC Berkeley against former Breitbart news editor Milo Yiannopoulos’ presence at the university’s free speech event. Demonstrators believed that Mr. Yiannopoulos “alt-right” and “hate speech” messages did not align with campus values and that he shouldn’t be allowed to speak on campus. While critics of their actions believed that their protests stifled free speech. “Our country needs an outlet to grapple with changing views on the First Amendment and what these mean for America and how our democracy functions,” Napolitano stated. The primary goal of the center is to create a one-year fellowship for students who together with leading public policy thinkers, legal scholars, social scientists and other specialists will conduct research on free speech issues, according to the UCOP press release. An advisory board co-chaired by UC Berkeley’s Law Dean Erwin Chemerinsky and UC Irvine Chancellor Howard Gillman, both noted constitutional scholars, will help select up to eight fellows into the program. In addition to conducting research, fellows will also spend a one-week residence at one of the UC system’s ten campuses. A national conference held in 2018 give the fellows the opportunity to “share their research and create an opportunity for elected officials, university leaders and others to come together to explore new approaches for engaging and educating students about the critical role of the First Amendment in American democracy”. The new center is intended to have an impact on citizen leadership by way of fostering constructive discourse and action. Napolitano stated that the center will additionally “provide a hub for activities and events aimed at restoring trust in the value and importance of free speech.”. Sixth College junior Victor Alcantar, a pre-law student, thinks that the new center “will have an impact on how individuals see the first amendment considering the recent acts like the UC Berkeley protest that went berserk, so having a new center that can help make cases like this run smoothly and better is a benefit for all the community”. Sarah Amouzandeh, a Revelle senior, believes that protecting free speech is critical. The application for the center’s fellowship program will open on Nov. 9 and is not contingent on enrollment at a UC campus.